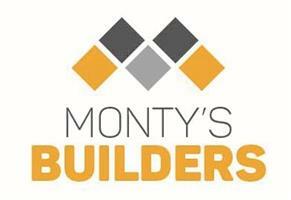 Monty's Builders - Builder, Painter/Decorator based in Woodford Green, Essex. Please see some of recent feedback for some of customers comments. We are a long established building and decorating business with 50 years plus combined experience. Our workforce have been with us for years. We do not have a shift of staff; this way we are able to maintain the highest level of professionalism and workmanship. We offer a wide range of general building services to both domestic and commercial clients. Our vast range of services include general building maintenance, repairs, refurbishment, painting, decorating, new kitchens and bathroom installations, plastering, tiling and insurance work. In fact, we cover all aspects of work involved with domestic buildings. If you are a landlord, we can take away the hassle of dealing with tenants, repairs and your property managers. Simply send us the job order via email or our website and we will take over from arranging the appointment with the tenant, pick up keys where possible and carry out the job as per your request. We are proud of the exceptional reputation that we have earned throughout South East London, for being a trusted and reliable company. Most of work is from word of mouth and recommendations, we feel this is the best way to move forward, as if people are recommending our service, then we must be meeting our client’s expectations! Our customer service experience is second to none, and we have an outstanding customer retention rate.